Timothy Hay for Horses | Anderson Hay & Grain Co., Inc.
Timothy hay is the most digestible of all hays and is one of the most popular hay feeds for horses. 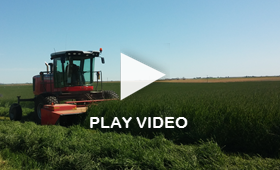 The hay is a late-maturing high fiber bunchgrass with a relatively low protein content. Horse owners have found that Timothy hay promotes a shiny coat, good digestion, bowel regularity, and a healthy weight. It is also excellent for colic prone, protein-sensitive, and obese horses. Timothy hay is highly recommended for horses confined to a stable because it offers more chewing time. It most closely mimics the normal day long grazing activity for pasture animals, which is anywhere from 10-15 hours a day. Feeding on Timothy hay can help satisfy your horse's natural urge to chew and graze when they are confined to stalls for long periods of time. While other feeds such as Alfalfa hay can meet energy requirements of horses in high levels of products, low nutritional concentrations of Timothy hay are ideal for many life stages. 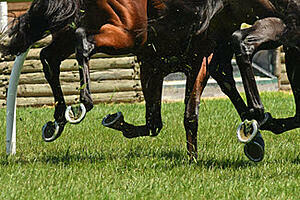 For racehorses, fiber is a good cornerstone for any feeding program. Fiber from Timothy hay can be fermented in the gut and used as an energy source throughout the day. It also protects good digestion and keeps prevents conditions like gastric ulcers and colic. Most racehorses require more energy than Timothy hay provides, so diet is supplemented with a percentage of Alfalfa mix.